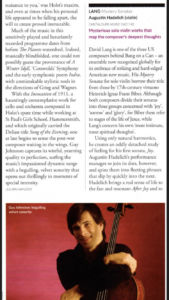 "Guy Johnston gave a lucid performance that was coloured equally with passion and intensity"
Guy Johnston is one of the most exciting and versatile British cellists of his generation. Born into a musical family, Guy joined his brothers in the world-renowned choir of King’s College, Cambridge, where he recorded the famous carol Once in Royal David’s City, under Stephen Cleobury. He went on to achieve important early successes through the BBC Young Musician of the Year title, the Guilhemina Suggia Gift, the Shell London Symphony Orchestra Gerald MacDonald Award and receiving a Classical Brit Award at the Royal Albert Hall. His mentors have included Steven Doane, Ralph Kirshbaum, Bernard Greenhouse, Steven Isserlis and David Waterman. Guy’s more varied activities in recent years have also seen him on tour in Australia as Principal Guest Cello of the Australian Chamber Orchestra and Guest Principal Cello of the Royal Concertgebouw Orchestra in Amsterdam while also continuing to perform the core cello concerti with orchestras such as City of Birmingham Symphony Orchestra, the Royal Northern Sinfonia, Royal Philharmonic Orchestra, and the Britten Sinfonia, among others. Recent seasons’ highlights include the Walton Concerto with the BBC Philharmonic and RTÉ National Symphony Orchestras conducted by John Wilson, the Elgar Concerto with Sir Roger Norrington, Shostakovich Cello Concerto No. 1 with the Moscow Philharmonic Orchestra, Elgar with the Royal Philharmonic Orchestra and the late Sir John Tavener’s ‘The Protecting Veil’ with BBC National Orchestra of Wales, and performances in Japan with the NHK Symphony Orchestra. 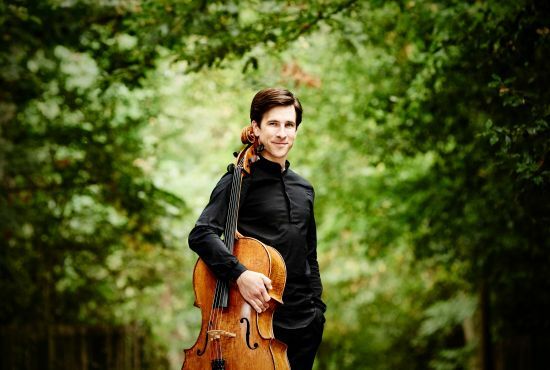 Guy gave the first performance of the Howells Cello Concerto at the Cheltenham Festival and played a new cello concerto for the Proms in 2016 with the BBC Symphony Orchestra/Sakari Oramo. A founding member of the Aronowitz Ensemble, Guy is an enthusiastic chamber musician and has enjoyed regular appearances abroad at festivals such as Delft, Moritzburg, Spoleto, Gaia and Bad Kissingen as well as Cheltenham, Bath, and the City of London festivals at home. Among his chamber music collaborators are solo artists such as Janine Janssen, Lawrence Power and Anthony Marwood, and ensembles such as the Belcea, Endellion, Carducci and Navarra quartets. Guy regularly performs at Wigmore Hall in London and is also the founding Artistic Director of the Hatfield House Chamber Music Festival. Guy also regularly collaborates with prestigious choral groups such as The Sixteen, BBC Singers and the Choir of King’s College, Cambridge, with whom he performed Ola Gjeilo’s O Magnum Mysterium as part of the widely broadcast ‘Carols from King’s’. 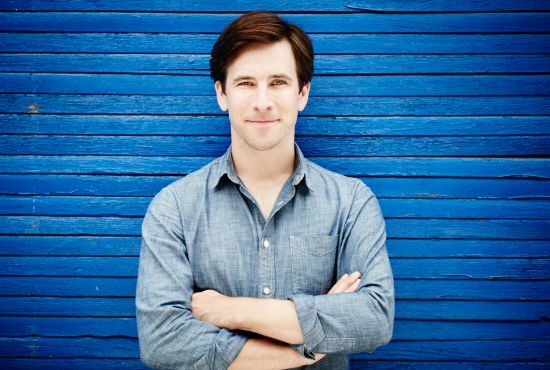 In addition to a busy and versatile career as an international soloist, chamber musician and guest principal, Guy is an inspiring leader of young musicians as a patron of several charities which promote music education with schoolchildren and young people including Music First and Future Talent. He is a Guest Professor of Cello at the Royal Academy of Music where he was recently awarded an Hon ARAM, is a member of the Faculty at the Eastman School of Music, Rochester, New York State, and is a board member of the Pierre Fournier Award for young cellists. He has recently commissioned a number of short new works to celebrate its third centenary, by composers including Charlotte Bray, David Matthews and Mark Simpson. Guy plays a 1714 David Tecchler cello, generously on loan from the Godlee-Tecchler Trust which is administered by The Royal Society of Musicians. Guy is honoured to be a Professor of Cello at The Royal Academy of Music. Guy supports a number of charities and has performed fundraising concerts for The Brain Injury Rehabilitation Trust, Dogs for the Disabled, CLIC Sargent and Macmillan Cancer charities. Future Talent gives financial awards and guidance to young musicians who are clearly demonstrating outstanding musical ability or potential, but do not have the financial means to reach their goal. Guy first became involved with the Charity after meeting the Duchess of Kent, Founder and Trustee of the Charity, in 2000. He was particularly touched that the Charity allowed children, who would not otherwise have the opportunity to pursue musical dreams, to experience music and express themselves in music for the first time. The NPDG (UK) was established over 20 years ago to help provide support and information to families caring for those with Nieman-Pick Disease. The charity also aims to raise awareness of the disease and promote research into the cause and possible treatments. The Group has to date raised over £1,000,000 for this cause. This rare disease causes brain degeneration, learning difficulties, problems with muscle co-ordination and severe feeding, swallowing and speaking difficulties. Guy became aware of the disease and charity when, in 2000, he met Tony Jellings (Head of Fund Raising), whose daughter very sadly suffers from the disease. Brain injury and degeneration issues are important to Guy. When Guy was 16, his eldest brother Rupert was involved in a car accident leaving him brain damaged and cutting short his promising career as a French Horn player. My cello was made in Rome in 1714 by David Tecchler. 300 years on, I decided to mark this special anniversary by commissioning 3 new works as gifts for the cello and to take the cello back home all these years later. "Guy Johnston captures its wistful, yearning quality to perfection, surfing the music's impassioned dynamic range with a beguiling, velvet sonority that opens out thrillingly in moments of special intensity." I’ve come to know Jane through the stories I’ve heard. My Uncle use to go to the cello centre here in London and I was fortunate enough to study with a number of her students including Nicholas Jones, who is sorry not to be here today, Steven Doane, David Waterman and Steven Isserlis. All of them are sitting on my shoulders here at the Academy where I have the honour of teaching a vibrant class of cellists – Joel was playing in the ensemble just now – and I like to think that Jane’s influence continues to live on from the wisdom I have picked up along the way through these extraordinary people. If they are anything to go by, Jane clearly must have been a one off! I was having dinner with Steve and David the other night and we were considering the order of events for today. The stories of Jane were out in all their glory – Steve talks of Jane as a kind of saviour to him during a crossroads in his latter student years and David remembers one of his first experiences in Scotland when Jane apparently shrieked, “Fake!” and “Boring!” at him. If anything sounded unnatural, there were consequences! But these stories, and there are many more that we can look forward to hearing in a moment, also helped me to make sense of some experiences during Steven’s classes at IMS Prussia Cove. 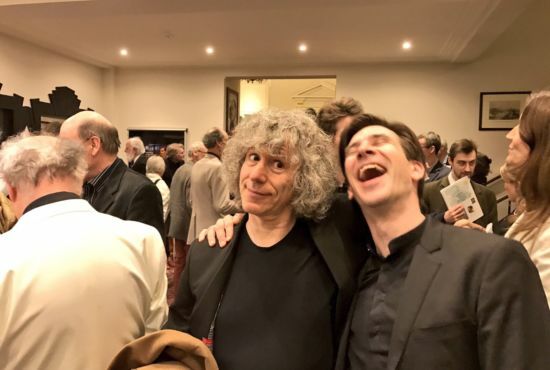 As a young aspiring cellist keen to make an impression on my childhood idol, I would often take criticism deeply personally particularly in front of peers who would be watching. “Why do you do that?” “What does it say in the score?” “Vibrato should not be automatic!” “Relax!” and one of the biggest insults of all, and similar to Jane’s outbursts, “Cellist!” In fact, it was not necessarily an attack on me, but rather more about a desire to serve the music first. It was about getting beyond ones instrument in search of the essence of the music and not just about playing the cello. All of these formative experiences studying with Jane’s protégés makes me realise what an impact she had on all their lives and that her influence continues to shine through them and all those for whom her passion, uniqueness and, dare I say it, eccentricities have rubbed off on. Steve, today is an inspired idea and as always the London Cello Society and the Royal Academy have been so enthusiastic in their willingness to make such an event happen. Bringing everyone together in this way to reminisce and share these moments with all of us makes it a particularly special occasion, and so without further ado I’d like to invite our panel of past students to the stage to share their memories of Jane with us.